Content - Color Strand LED: Take Your Party Décor Lighting To The Next Level! Color Strand LED: Take Your Party Décor Lighting To The Next Level! Strands of festoon lights crisscrossing a party space, whether indoors or under the stars, is a classic look that dates back almost to the discovery of electricity! Subtle globes of light strung across a ballroom or terrace help to create a casual and intimate setting, bringing down the ceiling height indoors or creating an ‘open ceiling’ at outdoor events. ADJ’s new Color Strand LED takes this vintage look to the next level with the use of modern quad color LEDs to allow a wide variety of effects to be created. The Color Strand LED consists of 20 replaceable bulbs that are evenly spaced on a 30ft black cord. Each bulb contains a powerful 6W RGBW LED, which allows a wide gamut of vibrant hues to be generated through color mixing. Each LED has a 50,000 hour lamp rating, which means that dead bulbs during an event, or awkward lamp replacement for fixed installations, should never pose a problem. The light from each bulb is visible from 360-degrees, meaning that the Color Strand LED is ideal for providing ambient lighting to fill a large area. The product is perfect if you run a production or décor company, or work as a mobile entertainer providing lighting services for parties. As an example, you could use a classic white glow to create an elegant atmosphere during dinner and cocktails, before then introducing richly-saturated colors and chase patterns later in the evening when the music is turned up and the dancefloor fills. This flexible product also has many other potential applications, and could be utilized for festivals, stage productions, and even for permanent installation on club or bar terraces. Featuring an IP44 rating, the Color Stand LED is safe to use both indoors and outdoors. It is designed to withstand splashing water, so can be used outside even if there is the chance of rain. Multiple strands can also be linked together to run from a single power supply (up to 5 strands at 120V and up to 10 strands at 240V), so the product can be used to fill spaces of all shapes and sizes with strings of vintage-looking LED globes. 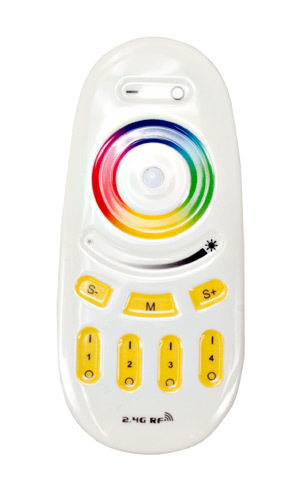 A Color Strand LED Remote is included with every Color Stand LED set. This allows easy, cable-free control of the effect providing access to nine preset chase programs, with speed adjustment, as well as variable brightness control. It also features an easy to use ‘color ring’ which makes selection of a particular color hue extremely simple. A single remote is capable of independently operating up to 4 separate Color Strand LED sets, making it easy to control the effects of a multi-strand setup. This innovative new product takes the classic festoon-style lighting effect and brings it up to date using modern LED technology. It is the perfect choice for party décor lighting, allowing for the creation of both elegant vintage white light looks and vibrant color chasing effects. So why not take your party décor lighting to the next level now, with ADJ’s new Color Strand LED?